The first guitar and mandolin bands were founded in Italy in the early 1880s. The fashion soon spread to Britain, initially amongst the aristocracy. Victorian social morals did not permit ‘respectable’ British women to play conventional orchestral music in public, but approved of exclusively female guitar and mandolin bands performing for charitable purposes. In 1886, Lady Mary Hervey and Miss Augusta Hervey formed the first British ladies’ band, which for more than two decades gave regular performances of serious classical music in London’s major concert venues, and was conducted by Europe’s leading mandolin virtuosos: Ferdinando de Cristofaro, Leopoldo Francia, Enrico Marucelli and Edouardo Mezzacapo. During the 1890s, hundreds of similar ladies’ bands were formed across Britain, mostly by middle-class women. The quality of musicianship varied widely, but some were undoubtedly of a high musical standard. The Clifton ladies’ band, led by Mabel Downing, maintained a considerable reputation in the Bristol area, while Clara Ross’s band was highly regarded by fashionable London society. Clara composed most of her band’s music, and became one of Britain’s most popular composers for mandolin. She subsequently emigrated to the USA where, as Clara Ross-Ricci, she became a noted singing teacher and composer for women’s voices. By the late 1890s, as British society was becoming more liberal, more mixed-gender ensembles appeared, although most bands were still overwhelmingly female. The largest was the Polytechnic Mandoline and Guitar Band, founded in London in 1891, which regularly gave concerts with as many as 200 performers and continued performing into the 1930s. Here is the link to this fascinating article by Paul Sparks – a curious chapter in the history of plucked instrument ensemble, many of which are still around today. I am particularly interested to know of the works of Madame Sydney Pratten, whose pieces I have recorded, and of course,the guitar ensemble aspect. (Please see diary for schedule of the National Youth Guitar Ensemble!). Many thanks to Nigel Warburton for drawing my attention to this article. Last month, Nejc Kuhar (that’s pronounced Nates Kuhar) visited me in Oxford. I first met this genial Slovenian composer and guitarist at the Iserlohn Festival and was impressed by his playing and general quiet but friendly manner. He has been composing up a storm since I last met him, and I too the opportunity to quiz him over a pint in the famous Kings Arms pub in central Oxford. He is very tall and had to stoop to get in the snug at the back. We talked about the reason for his visit to the UK, his attitude to composition and his studies with Alvaro Pierri. Few concerts have such specialist value as this programme devoted to English composer Lennox Berkeley’s complete works for classical guitar – probably the first time they had been gathered together in one sitting. But then such programming is typical of the Royal Academy of Music, whose consistently stimulating concerts – many of them free to the public, and mixing students with major artists – present sometimes-overlooked treasure on London’s musical scene. The article, which is a glowing review of the students at the Royal Academy, ends with the words “…these players found power and drama everywhere.” Well done, folks! Interesting to note that three of the past prize winners of the aforementioned Lennox Berkeley Society Award for Guitar were past members of the National Youth Guitar Ensemble. The Society also offers grants to promote Berkeley’s music here, if any of you are so inclined. In this month’s column, I’d like to talk about practicing with a metronome. 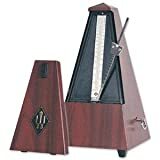 I’m sure most of you have read or been told at some point that practicing to a metronome is an important thing for guitar players to do on a regular basis. I think that practicing with a metronome can reap many benefits and have spent a lot of time doing it over the years. I came across this on Digital Music News and thought I would share it – hope it will work for you! (1) Please show the counter agent, guard, or other said official the 145 page FAA Modernization and Reform Act of 2012 section 41724. It was signed into law by Obama last year. Before her Wigmore recital on Sunday 3rd November, and imminently before her first shed event, Xuefei Yang will be on BBC radio’s In Tune, which seems to have had a lot of guitarists in recently. Does this signal a guitaristic renaissance, or is it like the UK economic “recovery”? What do you get if you substitute an ‘M’ for a ‘B’ and an ‘n’ for an ‘m’? You get a virtuosic Brazilian mandolinist whose day job was a pharmacist (and also a public notary) and who was impeccably dressed for concerts. 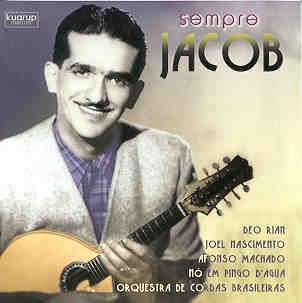 He also wrote many of the Brazilian hits of all time, aptly named Jacob Pick Bittencourt, whose stage name was Jacob do Bandolim, “Jacob Mandolin”. In addition to his virtuoso playing, he is famous for his many choro compositions, more than 103 tunes, which range from the lyrical melodies of “Noites Cariocas” (“Carioca Nights”), Receita de Samba and “Dôce de Coco” to the aggressively jazzy “Assanhado”, which is reminiscent of bebop. He also researched and attempted to preserve the older choro tradition, as well as that of other Brazilian music styles. For three years from 2006, Radio Cultura FM broadcast a weekly program with Fabio Zanon . After 13 initial episodes dedicated to the series The Spanish Guitar in the Twentieth Century, Fabio focuses on the history of the guitar in Brazil. This series of 148 programs covers the rich universe of Brazilian guitar. The guitar’s main characters are the protagonists in these programs illustrated with rare recordings and exclusive interviews. The starting point for this series is the article by Fabio, The guitar in Brazil after Villa-Lobos. Unfortunately, you might have to work to get the downloads, but if you succeed, this is a treasure trove of the history of ther guitar in Brazil, featuring most, if not all, the important Brazilian guitarists after Villa Lobos. Knowing how to understand Brazilian is definitely a help!